We do not collect any personally identifiable information from children under thirteen (13). If, in the future, we permit children under thirteen (13) to register for accounts or certain services offered through the Site, we will do so in compliance with the Children’s Online Privacy Protection Act of 1998 (15 U.S.C. 6501 et seq.) including, without limitation, obtaining necessary parental consent. We will not provide or sell your PII to any other companies for commercial purposes. However we may share your PII with third parties with whom we have contracted to provide services on our behalf, such as parties who provide us with marketing assistance and process credit card payments. In such instances, your PII will be used only for purposes of providing those services on our behalf. Notwithstanding the foregoing, we may disclose your PII in response to legal process—for example, in response to a court order, subpoena or request from a law enforcement agency. We may also disclose PII if, in our sole discretion, such disclosure is required to protect the interests and safety of Blocks Rock and other users of the Site. The Indiana University research study is available for download. 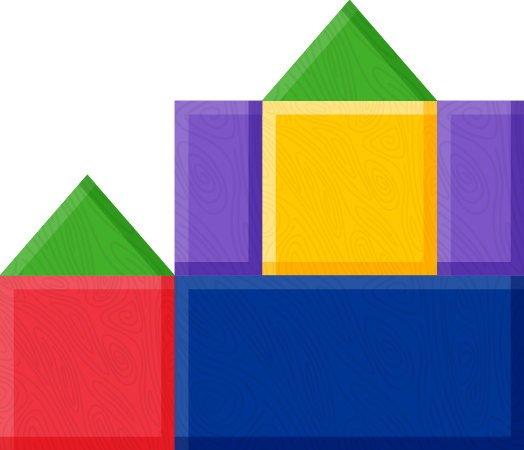 Read about how the study was conducted, the results, summary and implications of why block-building games such as Blocks Rock! should be a part of every curriculum.